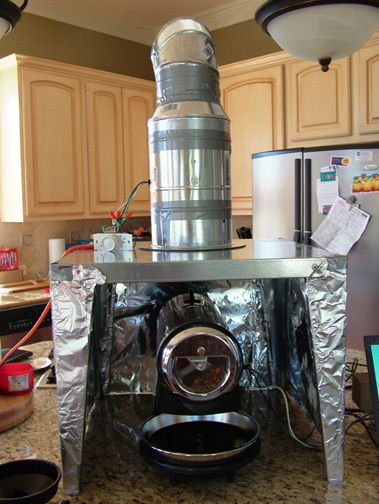 John Murray is a computer-controlled roaster (CCR) owner. Here are photos of his kitchen setup and some comments from him on his experiences as a CCR owner. I have found that your CCR makes roasting so easy in many ways. 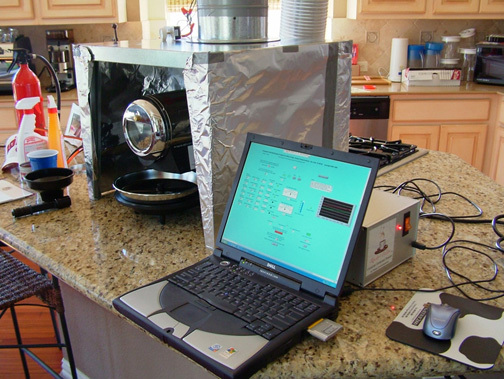 It is easy to use, easy to learn, makes complicated multi-step roasts so easy to perform, etc. I have noticed the consistency between roasts to be so precise. I am a technogeek, so I love it. I can't wait to do more exotic roasts and more complicated profiles, and I know the CCR will perform them with ease and accuracy.